list of hits and rarities in finely saluting one of rock’s legends. 'Old Man', and 'Down by the River' as well as some deep cuts like 'Alabama', and 'Comes a Time'. casual folks and plenty of deeper stuff for the ardent fans, like me." 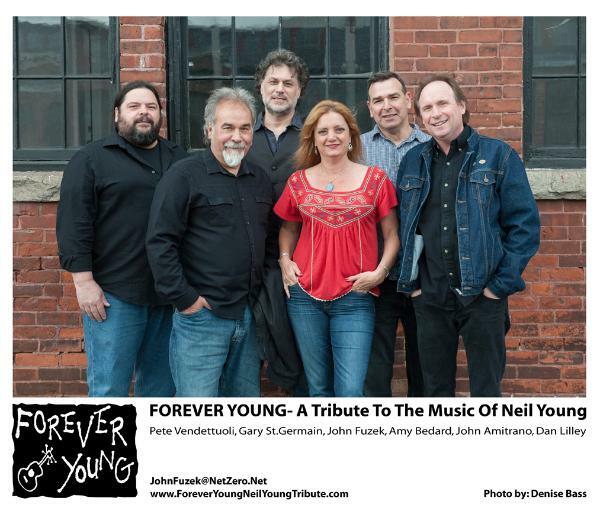 "Forever Young truly captures the spirit of Neil Young and his music. Our South County audience embraced the show with great enthusiasm packing a full house. Great show for fans of all ages!" brilliant interpretations of Neil’s music." career of music and activism."